Can I run the motor higher than 50Hz by using a VFD? All driven loads have some relationship between power and speed. As a general statement - more power is consumed at higher speeds. Most motors are designed to operate at a constant speed and provide a constant output; however, modern technology requires different speeds in many applications where electric motors are used. A variable frequency drive (VFD) is a device that regulates the speed and rotational force, or output torque of mechanical equipment. Effects of applying VFDs are in both productivity improvements and energy savings in pumps, fans, compressors and other equipment. Variable speed drive technology and the importance of controlling the speed of existing motors have fascinated many attentions in the last years with the advent of new power devices and magnetic materials. What happens in this case is dependent on how you intend to operate. Are you going to increase line voltage as frequency increases? If so, you might be able to develop a similar torque if the range is not too great. If not, you'll be developing significantly less torque at higher frequencies (which means higher speeds). Eddy current and hysteresis losses increases since the proportional to the frequency. If Hysteresis loss increases the, the maximum flux density that can pass by the core reduces. It means their saturation happens soon. 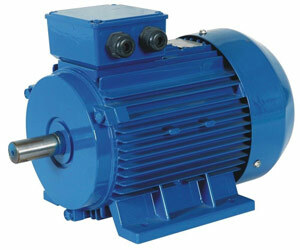 It makes the motor to draw more current for the same output with less efficiency and reduced torque. The more current taken by the motor dissipates in the form of heat and overall temperature rise increases may cause to temperature failure of winding. If we work the motor with constant V/F ratio, up to a critical limit the motor behaves well. Then after magnetic core attain in its saturation. Running a 50Hz design motor over its rated frequency will push it into "field-weakening" status, which means the load capability (torque) you can get from the motor will drop. You will have to check the motor datasheets to make sure you got bit torque reserve (based on Tmax/Tn ration) at new duty point. Either getting hot or not will depends on the load profile (quadratic, constant torque or constant power). Wouldn't recommend over-speeding for quadratic load profile (fan, pump etc.) as power required by load will increase dramatically after 50Hz. One more thing is having a higher operation speed, bearing need to be re-greased more frequently. Watch for the frequency limit on the VFD: it could be as low as 75 Hz or as high as several hundred. Be sure you know the PEAK torque requirements of the process - if you're not maintaining a constant Volt/Hz relationship, the peak torque capability (as a percentage of rated torque) will also decrease as the machine speeds up. However, on a general note, after 50Hz, VFD would start operating in constant power mode - speed torque product would be constant and raising the speed would proportionally reflect in linear drop in torque. As long as you operate your VFD within maximum tolerable frequency for motor, there won't be any substantial damages but might result into the losses depending on motor parameters.